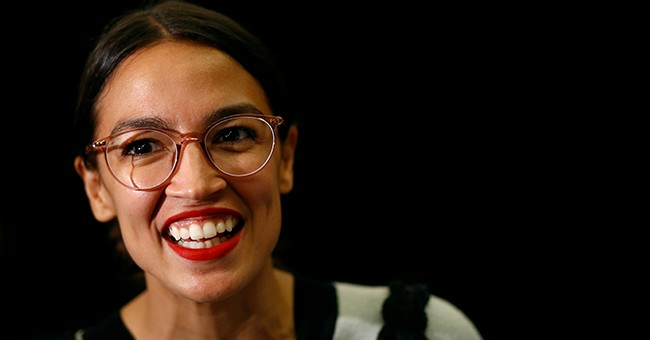 Here's what's scary about this: Ocasio-Cortez has made it well known that she believes the rich should hand over 70 percent of their paychecks to the government. She's doing everything in her power to move her party to the left and what better way to do that than to advocate for raising taxes and redistributing the wealth? She reiterated the point again on Tuesday when she got into a debate with former Wisconsin Gov. Scott Walker. Exchanges like the one with Walker prove that Ocasio-Cortez knows absolutely nothing about finances and what's best for the American economy. She's really great at focusing on one or two small details but she fails to see the bigger picture, the bigger result. If the United States had a massively high tax rate like what she proposed, we would see a higher unemployment rate. You know why? Because businesses wouldn't be able to afford more workers. They'd be spending practically all of their profits on taxes. At that point, what's the point in being in business?